It's been about three years since the game has received a major content update in the form of an expansion, but it looks like that is all about to change. During the announcement, creative director Charles Boyd said, "Now that Darth Malgus is back, he’s commanding the Sith fleet in a devastating attack on the Republic. Over on the game's website, the developers outline a bit more of what is to come, and what their ideas behind the expansion itself are. "One of the ways that we’re adding this depth is with an entirely new type of gear slot – Tactical items. 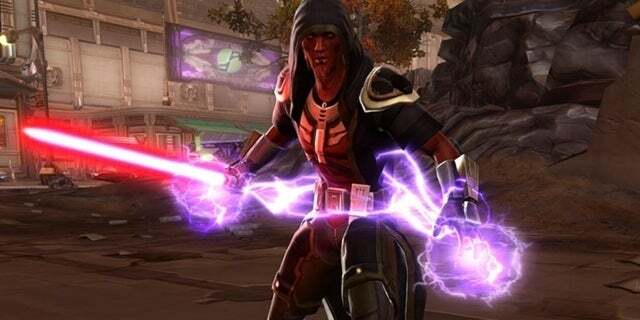 Star Wars: The Old Republic is currently available to play on PC , and the Onslaught expansion will be arriving this September. In this latest episode, we cover the possible new Hawkeye series coming to Disney +, argue if Batman casting fatigue is setting in, we grade WWE Wrestlemania, and so much more!